The iQunet inclination sensor monitors the inclination angle of machine components. Pitch and roll are collected in burst mode for monitoring purposes. A guard roll parameter can be set to detect whether the machine component surpasses the defined angle. 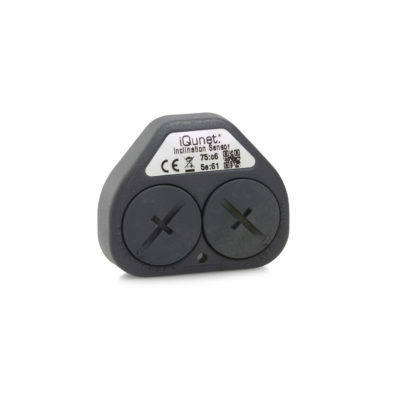 An alarm broadcast generated by the iQunet Inclination Sensor can be picked up by an iQunet actuator. The actuator can be programmed to drive the PLC to switch off the machine.